The vintage Old Dutch Windmill is one of the most authentic landmarks and a historic reminder of the Dutch influences in Aruba. This photogenic point of interest of Aruba has housed several restaurants, pubs, and bars since 1962 when it was first opened. The Old Dutch Windmill is located at the high-rise hotels at Palm Beach, near the Butterfly Farm and the Bubali Bird Sanctuary. Because of its characteristic looks, it is a point of interest, serving as a landmark you cannot miss when you are in the neighborhood. It is really worth visiting! The Old Dutch Windmill – or “De Oude Molen” in Dutch – was originally built in the province of Friesland, in the north of the Netherlands in 1804. The windmill was used to drain water from the lowlands of Holland and later functioned as a grain mill powered by the wind. In the early 1900’s, several storms heavily damaged the windmill, however, up to the point where it ceased to function. The windmill was abandoned. 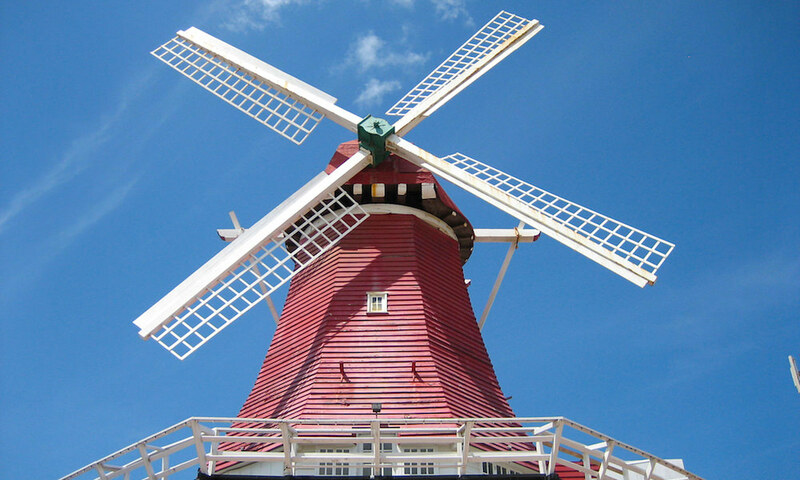 In 1960, the Old Dutch Windmill was privately purchased, disassembled, and shipped to Aruba. Once it arrived after an overseas journey of nearly 5000 miles, it was carefully reassembled to serve as one of Aruba’s first major tourist attractions. Located in front of the historic windmill on J.E. Irausquin Blvd 330 you’ll find Aruhiba Cigars, a retail shop that offers a fine selection of hand-rolled premium cigars and all kinds of cigar accessories. Cigar smokers are welcome to come and enjoy a smoke in the shop. Opening hours are from Monday to Saturday, from 9 AM to 6 PM. Sunday from 10 AM to 4 PM. The cigar factory, where the cigars are made, can also be visited and is open from 9 AM to 4 PM.